Behind every great day is a great night at the Comfort Inn Conference Center in Bowie, MD. You could host a great meeting, too, in our 7,500-square-foot conference center. Catering services from our on-site restaurant and bar are also available. 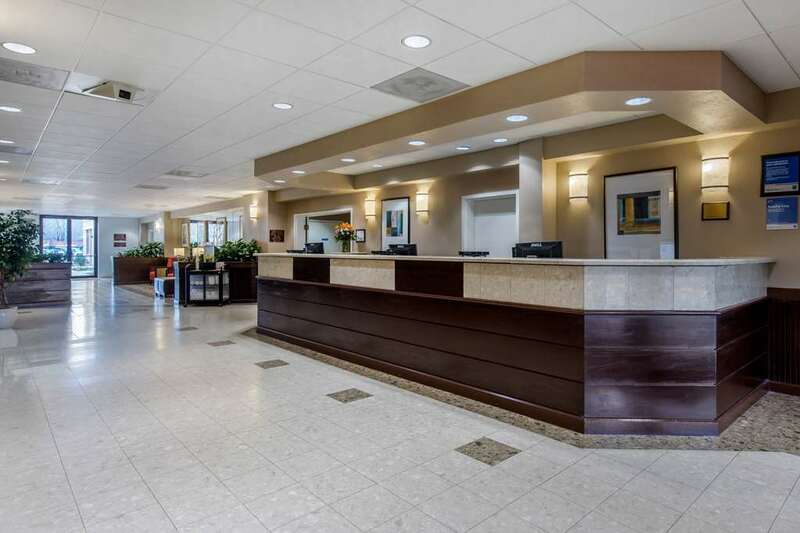 Whether you travel to central Maryland by yourself or with several hundred colleagues, count on our hotel to deliver free WiFi, free hot breakfast and an exercise room. Plus, each comfortable guestroom features a coffee maker, hair dryer, iron, ironing board, safe and refrigerator. Many rooms also have microwaves. Also, earn rewards including free nights and gift cards with our Choice Privileges Rewards program. Cash paying guest Deposit: 10.00 per stay for phone. Pet Charge: 15.00 per night per pet under 30lbs.